As the breeze builds we pull the ‘string’ and with a bit of effort the surface area of the headsail is reduced with little or no effect on the performance of the yacht PROVIDED you are on a beam or close reach. However when beating to windward that’s another story as no matter how well designed the headsail is, yes I know its been built with a foam luff and is constructed from good quality sailcloth from Contender, but your ability to claw to windward falls off rapidly the more you furl. What’s the solution, well a lot of the guys I met at the Southampton Boat Show the other year said ‘they never go out in windy weather’ so don’t need a storm sail! You could fit an inner forestay and tensioner, that is of course after modifying the mast and strengthening the deck to take the anchorage point. The downside is the cost of strengthening the deck/tying in to a bulkhead, the inner forestay and the tension lever (extra weight and windage) plus the cost of the storm sail and as it’s set aft of the furled genoa, the turbulence from this obstruction has to be considered . Don’t ever forget, of course, the 25 or more scary/seasicky minutes spent up on the plunging foredeck away from the security and shelter of the cockpit! Another option that isn't as expensive is to buy a storm sail that you wrap and hank or lace around your furled genoa. Very, very time consuming to attach, and once it’s out of the sail bag the little matter of trying to tame it as it billows around as you attempt to shackle it to the bow fitting, then attach the spare halyard, add your sheets and pray it will hoist smoothly whilst the other crew member hoists from the cockpit assuming, of course, there is another crew member. However with the Storm Bag, you take the self contained bag forward, open it out then wrap it round the furled genoa, close the bag, attach the self contained tack line and your spare halyard. Then take your sheets aft (supplied as part of the package) and hoist from the security of the cockpit, job done in 5 mins flat. 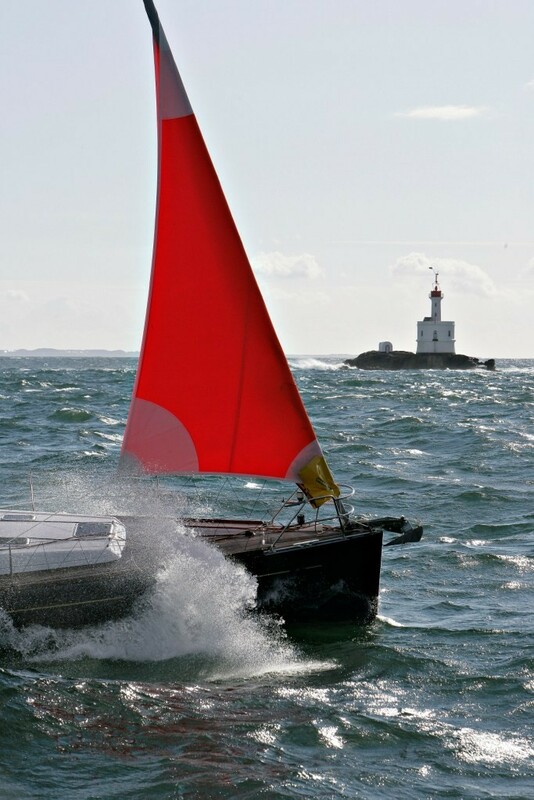 The sail forms an aerofoil envelope round your furled headsail, pointing ability is not compromised, plus when going to windward in confused seas, it’s easier to keep the yacht in the groove. 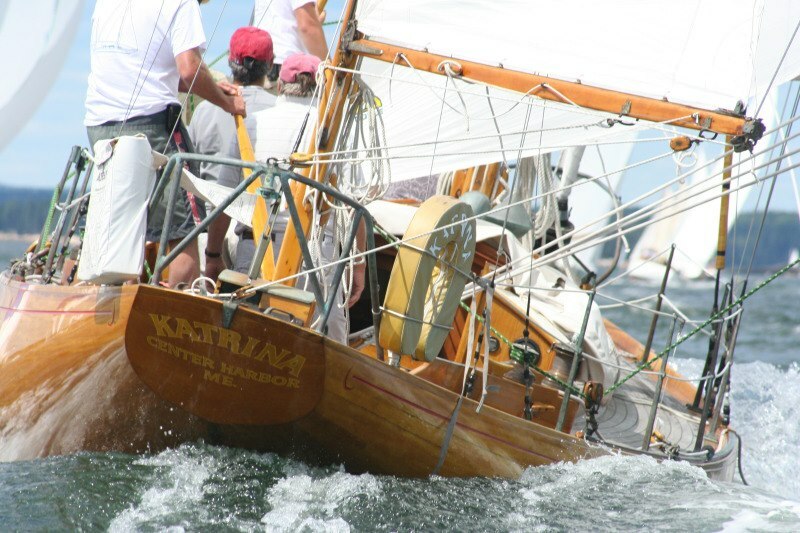 This entry was posted in General Interest, Safety, Sails, Products in the spotlight, Top Tips Tuesdays and tagged sailing, Storm-Bag, Storm Sails, Furling Systems, Furling Headsails, Storm Sails for Furlers on July 29, 2014 by Rob Storrar. When attaching a fitting to the glass fibre deck of a boat using a self tapper, I always drill the appropriate hole and countersink the surface. By adopting this procedure it will stop the gelcoat surface from breaking away. Don’t, however, forget a dab of sealant into the chamfer. When bolting through, I would adopt exactly the same procedure; drill the correct dia hole, countersink and then, to give a 100% watertight seal, apply sealant to the chamfer and the base of the fitting before bolting it down. Leave it hand tight for a day for the sealant to bed in, then you can fully tighten without squeezing all the sealant out. For wood, yes countersink, then to stop moisture penetration into the wood seal the hole with epoxy and, when dry, apply sealant. 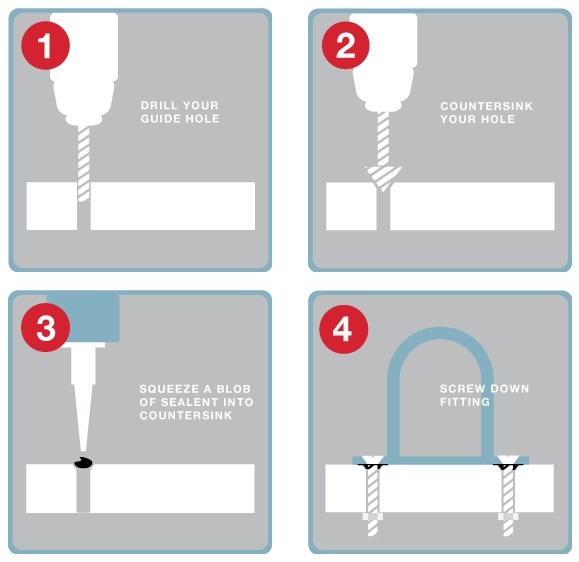 If attaching a fitting to a cored deck you will need to drill an oversized hole, fill it with epoxy and when set follow steps 1 to 4 as above. So, you need to pass some cables through the deck and are worried about water ingress, most skippers will use a deck seal of the Scanstrut or Index Marine variety, available in different shapes, sizes and materials, aluminium, stainless or plastic, others use watertight plugs and sockets or the cheaper cable glands. Having said all that it is surprising just how many stainless steel Swan Neck cable outlets we sell. Looks great of course on classic yachts and has the advantage that it will accept multiple cables with large diameter plugs. 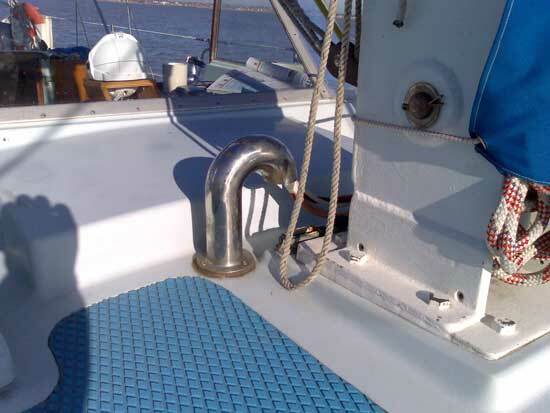 This entry was posted in General Interest, Top Tips Tuesdays, Maintenance and tagged sailing, Scanstrut, Swan Neck Cable Outlet, Index Marine, Deck Seals, Cable Glands, Boats, Fittings on July 22, 2014 by Rob Storrar. The Dutch paint manufacturer W. Heeren and Zoon B.V have a superb range of varnish and paint products, we have sold them in our chandlery for nigh on thirty odd years. Skippers worldwide sing the praises of their traditional varnish based on tung oil, phenol and alkyd resins however if you are varnishing or painting in the summer (best time of the year to do this) using their traditional varnish or paint and you are worried about maintaining a wet edge consider using Epifanes Retarder, its specially formulated to extend the wet edge and flowing time of Epifanes one-part paints and varnishes. Incidentaly living next to the sea we have used Epifanes paint with great success on our front and garage doors (window frames were UPVC) lasting twice as long as our neighbour who had his house painted with a leading household brand! 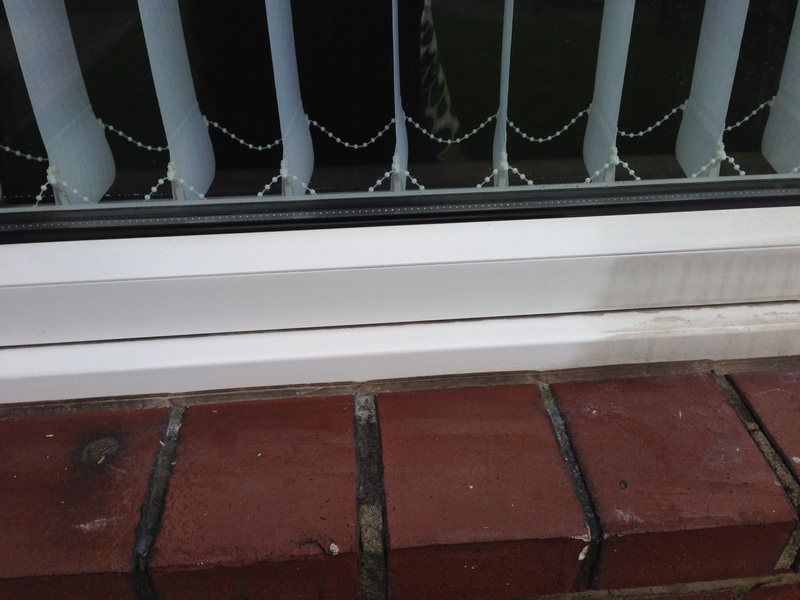 Speaking of UPVC, if you want to bring it back to an as new look use Vistal our replacement for Universal Stone, for very little effort, it brings them up like new and of course it can be used all round the boat! This entry was posted in General Interest, Products in the spotlight, Top Tips Tuesdays, Maintenance and tagged Epifanes, Marine Paint, Marine Varnish on July 16, 2014 by Rob Storrar. Radio is an important safety tool for all mariners who venture out on the water, whether offshore or on inland waterways. VHF marine radios are used for a variety of purposes including; contacting harbours & marinas, summoning rescue services or ship-to-shore and ship-to-ship communication. Knowing what radio to choose can be quite confusing because of the range of models and features available. Here we go through some important considerations when choosing a VHF marine portable of fixed radio. What do I need a VHF for? Primarily you need it to communicate for safety with the coastguard and other boats and ships. What types of VHF radio are available? There are handheld and fixed panel mount radios. Handheld VHF's are small, portable and suitable for small vessels without their own battery source; or as emergency back-up for fixed radios or as personal radios for crew and use in tenders. Panel-mount radios are permanent, fixed and ideal as the main radio. They offer greater range than a handheld because of their extra power, generally 25W and external antenna. 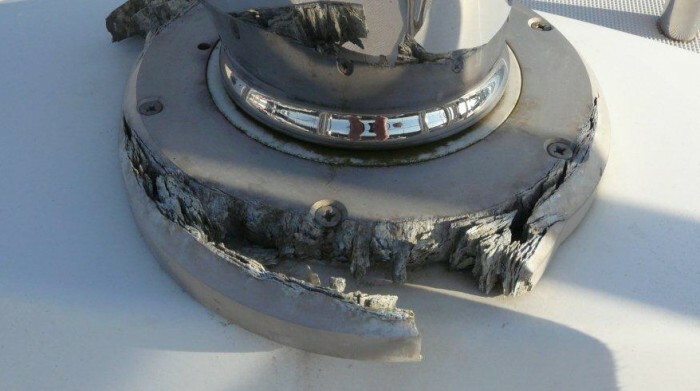 Look at why you need a VHF. If you are a dinghy sailor, jet skier or sea kayaker, space will be an issue and a small buoyant waterproof handheld with a long battery life may be desirable for the day long sessions. A handheld should be straightforward to use under pressure with easy shortcuts, an intuitive user interface and simplicity of operation. A clear screen and a decent battery life are also important. A DSC Handheld radio will allow you to contact a similarly equipped craft directly by means of a unique MMSI number or to send a distress signal equipped with your identity and location by a simple press of the button. Moving onto cruiser’s and RIBS’s venturing further out to sea, a small budget fixed radio providing the extra range may be worth considering. A large motorboat or yacht sailing further offshore, like above, will need greater range so a fixed mount unit will be a better solution. A larger vessel may opt for dual station control with a remote handset. All yachts and motorboats should consider AIS, either receiver only or a class B transponder. All recent fixed-mount marine VHF radios have DSC calling capability, allowing you to alert other boats, ships and shore stations with the single press of a button. When connected to a GPS, these DSC capabilities include; position polling, a variety of group calling options. Some offer the ability to connect to a remote microphone and act as an inter-ship intercom system. Some radios also have automated fog horns that connect to an external hailer horn. Some have built-in hailers that act as a public address system. Fixed radios do require installation, including connection to a power source, VHF antenna and GPS. Although quite straightforward to a DIY enthusiast, help from your BMEEA dealer may be needed. Think carefully before installing. If space is tight, a black box solution may enable you to install a high end radio out of sight, whilst still being able to control the set with a portable handset. 1. Easy to use? Most handheld VHF’s offer basic functionality. Others offer extras such as DSC. Higher end features are being developed and integrated in modern fixed and handheld units. It is important to bear in mind that in an emergency you want an easy to use radio that is easy to operate and control. Don’t get confused with waterproof values. Submersible (IPX7) is much preferable to something that is only splash proof such as radios which are IPX4. One of the biggest developments of recent years has been buoyancy technology within handheld radios. So if by accident you drop the radio over the side, it will come to the surface so you can retrieve it. To aid retrieval, some handheld sets have strobe lighting so that they can be seen in the water. If you are going abroad to the continent, make sure your radio set is ATIS programmable. This can be set up by your supplying dealer. The set you are looking at should have dual or tri watch for scanning between channels whilst monitoring channel 16 as well as a customisable scan function so you can monitor all the channels you need to without missing a call. Power can be used to improve the quality of signal and to overcome some obstacles. Remember, more power out means more power in, giving shorter battery life for handhelds or non-recharging batteries. Always start with the lowest power setting and work up. On a fixed unit you should expect at least 25W (PEP) transmit power and on handheld units you should expect no lower than 5W(PEP). *Some channels (Ch15, 75 & 76) operate on 1W only. This should automatically be selected by your radio. If you are worried about running your battery low, there are several things you can consider. A good Lithium Ion battery can provide radio usage for a typical day at sea. Alternatively a spare battery or battery case that holds disposable cells or perhaps a 12V lead may be used. If you know that you will be operating in loud environments such as on a motor cruiser it may be worth considering a set with active noise cancelling technology. Some of the latest radios feature this noise cancelling technology that digitally removes background noise and transmits your voice clearly. Active Noise Cancelling also improves an incoming signal therefore increasing voice quality. If you find that you cruise/sail as part of a group or are involved with racing a last call voice recording function, available on some sets, automatically saves the last incoming calls for a small time. This is very useful when clarifying information, allowing you the option to listen again without getting the call repeated. 5. Do I need a licence to operate a Marine VHF radio? 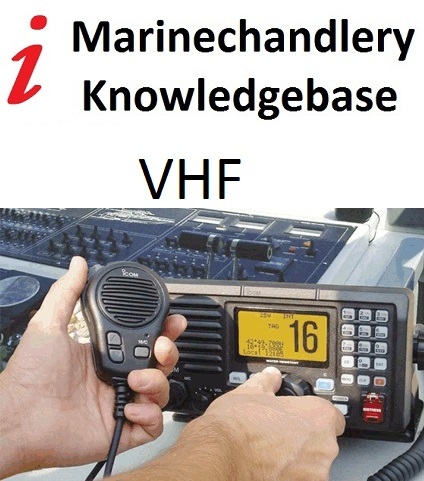 The Marine Radio Short Range Certificate remains a legal requirement for the use of marine VHF. All radios require the user and the vessel to hold a relevant licence. The vessel's licence is like a car tax disc, but is also the key to obtaining an MMSI number, which will uniquely identify your vessel. The user requires a radio 'driving licence' and two different types are available. For VHF only, the SRC (Short Range Certificate) instructs users in radio etiquette and procedures. VHF operation itself is fairly straightforward; however, the course also teaches you about digital selective calling (DSC) functions and emergency procedures. If you are purchasing a Handheld VHF , the radio should come as standard with charger, battery, belt clip and antenna. But if you are a serious user or semi commercial user you may want to see if the radio you are buying has the necessary accessories available to help you. Are there headsets, cases or speaker microphones available? A warranty is a guarantee of peace of mind, when you are purchasing a radio that the dealer and manufacturer can back up what they are saying in terms of product quality and build. Some manufacturers offer 3 year warranty. 19. Top Tips Tuesday - Chart Art, Admiralty Charts On Canvas - Preserve Your Summer Cruise For Posterity. 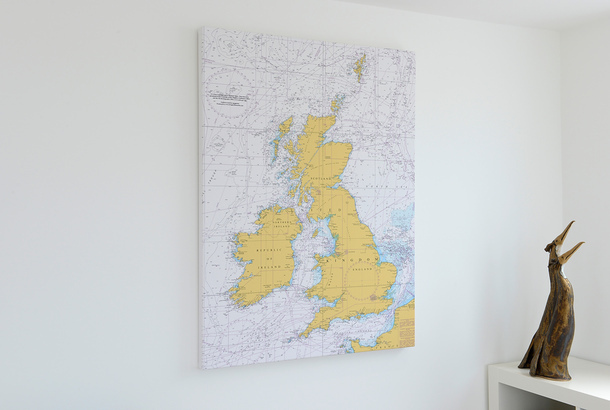 Yes, I know its on a different ‘tack’ to my usual Top Tips Tuesday however, how often have you thought that it would be nice to have a visual record of your summer cruising area hanging on the wall of your study or lounge to remind you of those magical moments (possibly the slightly scary ones as well). With a lot of folks setting off or about to set out on their cruise it occurred to me that not an awful lot of you know about Chart Art. Chart Art is the brilliant new concept of internationally known yachting photographer Rick Tomlinson and his wife Annika, the licensee, with the rights to reproduce Admiralty charts on canvas. For your home or work place, Chart Art can provide a talking point or allow you to dream about maybe next year’s cruise. If you want to add your course sailed, taken from your GPS lat and long fixes during the week, favourite anchorages etc this can be done at a small additional cost, it gives added interest and makes for interesting conversations if friends or your crew come round for drinks or supper. Recent deliveries of Chart Art include one of the island of Jersey and the French coast for Jersey Customs and for the Scapa distillery on Orkney a chart of Scapa Flow for their boardroom. The Chart Art process uses technologically advanced 12 colour UV ink printed onto the finest 100% Cotton artist's canvas, which is sourced from some of the biggest international art suppliers. Museum Quality Artist's Stretcher Bars are made of the finest quality European kiln dried knotless pine, which has the advantage of being extremely hard wearing and not susceptible to warping that cheaper woods are prone to. Each bar features a rounded back edge which is designed to ensure that the canvas is always kept a full 1⁄2" (13mm) above the stretcher bar to ensure that there can be no ghost impressions on the canvas. These stretcher bars also incorporate ‘wedges’ which are placed in each corner and allow the canvas to be stretched extremely tightly over the frame. It also allows the canvas to be restretched over time, which can be of particular importance for the larger sizes we offer. Ordering is simple. Search our charts for the one you need, note the number then click on the charts link on that page, select a size, enter the chart number and that’s it! For custom chart areas call or email your requirements. A draft proof will be emailed for approval before the order goes ahead. As they are printed to order delivery is usually within 10 days. This entry was posted in Products in the spotlight, Top Tips Tuesdays, Cruising, Gift Ideas on July 8, 2014 by Rob Storrar. They say you should never mix your drinks and I usually do follow that rule, however, what you should never ever do (and yes I know I keep banging the drum) is mix your metals without putting a barrier between the two surfaces! If you have an alloy stanchion/fairlead or genoa sheet track and you need to fasten it down by all means use stainless steel fixings however you must put a barrier between the two dissimilar metals otherwise you can end up with a very expensive failure. Take this image of the ventilator base plate on a fifty four footer completely and utterly cream crackered. If only the boat builder had used Tefgel or zinc chromate paste as a barrier none of this would have happened. Enter Our Competition and WIN a tube of Tefgel worth £17.95! This entry was posted in General Interest, Tips and Advice, Maintenance and tagged Duralac, Tefgel on July 4, 2014 by Rob Storrar. Get it tight as a drum with the help of the adjustable Barton Slab Reefing Kit! The other week our sail loft manufactured a replacement mainsail for a Westerly and we supplied a slab reefing kit. 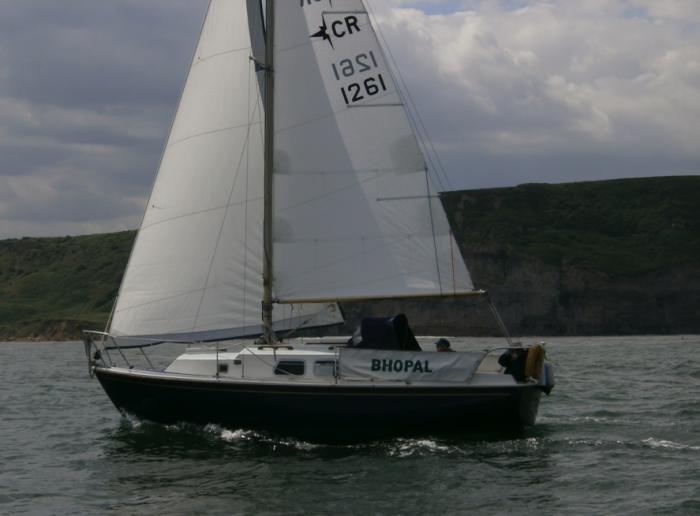 Today the owner sent me thru an image of Bhopal sailing off Whitby my immediate thoughts on seeing the pic? Sail looks sweet and a credit to the sail makers in our loft, however, if the skipper was forced to reef the mainsail his ability to claw to windward would suffer! What I had suggested to the proud owner was that I would like to see both the adjustable take off eye/blocks moved further along the slab reefing track towards the outboard end, first reef turning block at least 18cm further back second dropped back by at least 10cm. Once you get above a force three you want the base of the main flat. Too often I see yachts 'going to windward' with a reef or two in and a belly in the sail, get it pulled out tight as a drum I cry. Incidentally, if you are fitting a Barton Slab Reefing Kit, which this owner did, and wish to lead the reef lines aft the Barton 4 pin Mast deck organiser is an excellent solution to turning blocks at mast step level. The majority of yachts will, in the area of the mast step, have a heavier than normal layup of the glass and some ply stiffening so bolting through is usually easy peasy. For today and right up to midnight on Monday the 7th July 2014 we are offering 10% off Barton's Slab Reefing Kit and also 10% off the Four Pin Mast Organiser. This entry was posted in General Interest, Sails, Top Tips Tuesdays and tagged Barton Slab Reefing Kit, Barton 4 pin Mast deck organiser on July 1, 2014 by Rob Storrar.